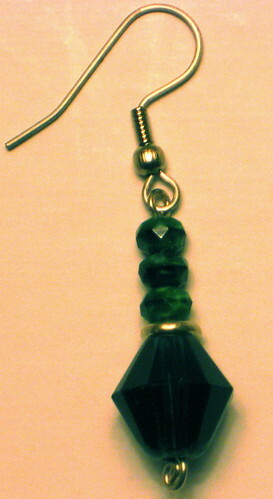 Somebody came to my site after searching for information about the haiku earring parties at WisCon. That reminded me that I’d never gotten around to putting up a picture of Volcanoes on Vacation, the earrings I exchanged a haiku for at WisCon some years back. 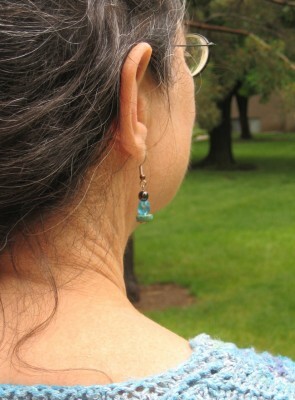 Elisem‘s haiku earring parties are always a highlight of WisCon for me. They’re a big part of the reason that I’m always sad when I have to miss a year. I think I’ve mentioned it somewhere each time I’ve gotten Jackie a pair of earrings at one of Elisem‘s haiku earring parties, but The Sinister Leprechaun seems to be the only pair I’ve gotten since starting this particular iteration of my blog. The haiku earring party is always one of the highlights of WisCon for me, which is only the smallest reason why this is wonderful news: On the Rewards of CALLING 911 RIGHT AWAY. Learn the signs of a stroke. If anyone shows those signs—you or someone you’re with—call 911. The Sinister Leprechaun, originally uploaded by bradipo. Jackie and I attended the Haiku Earring Party at WisCon this evening. In case you’re not familiar with it, here’s how it works: Elisem creates pairs of earrings. You pick out a pair you like and bring it to her. She gives the pair a title. You then write a haiku or senryu inspired by the title and the earrings, which you trade for the earrings. 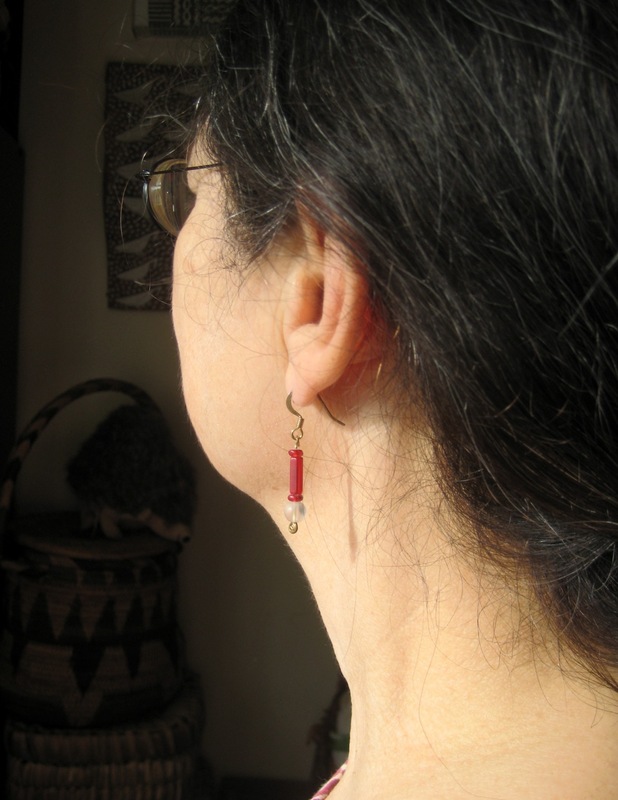 At least, I tended to think of it as a swap—haiku for earrings. Jackie, it turns out, had a slightly different take on it. In her mind I was winning the earrings for her via a display of skill, like winning a stuffed animal by tossing rings at the county fair. Not expected pot of gold.